Streamline your business operation and manage Clients, Prospects and Vendors with ease using Comentum's CRM and Collaboration Tools. 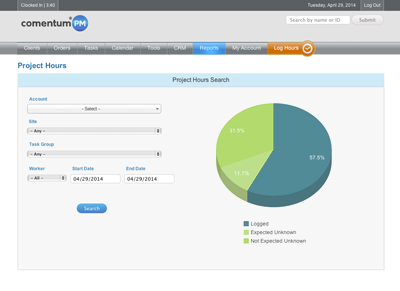 Comentum's Customer Relationship Management is a fully customizable PHP-MVC based Project Management System with intuitive design and powerful features. Reports - Productivity reports, Team Time Card report, Team Availability Report, Project and Task Group hours and due date reports, etc.